The Royal Bistro is located at Kelowna General Hospital in the recently renovated Royal Building Lobby. The 50 seat cafe is staffed entirely by Volunteers with proceeds going to the Kelowna Hospital Auxiliary for the purchase of patient care equipment. Working with Auxillary staff and Interior Designers, a new name and brand was developed to coincide with Kelowna General Hospital’s $400M facelift. Brand elements were pulled in throughout the space including new signage, menus and cupware. 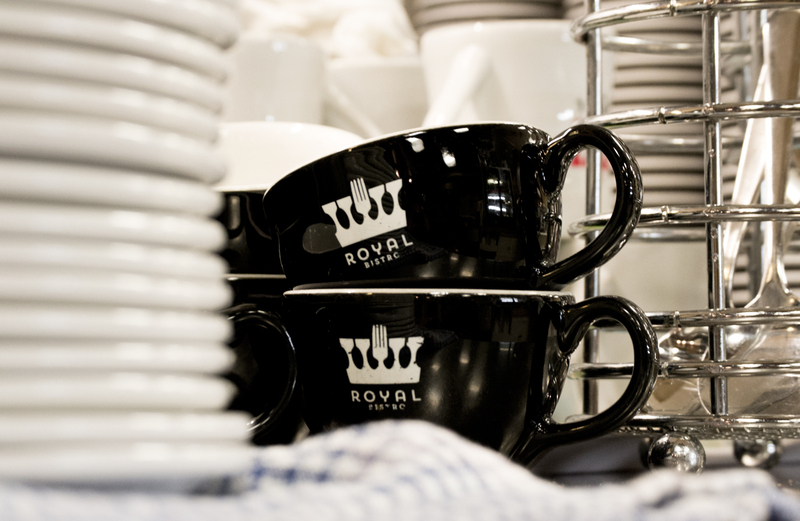 Creating a comfortable and consistent brand experience from cups to atmosphere, The Royal Bistro wanted to offer a cozy place for families and staff to enjoy a break. The logo and word-mark reflects the quality of the food, the pleasurable experience of the bistro, and we like to think it will brighten up your day, even if it’s just for lunch.